The young men arose and wrapped him up, and they carried him out and buried him (Acts 5:6). Here, a group of mourners is depicted carrying the body of a deceased man. 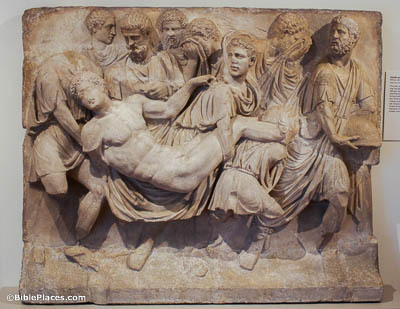 The scene comes from a marble sarcophagus made in the middle of the 2nd century AD. It serves to demonstrate something of the “great fear” provoked by the deaths of Ananias and Sapphira. Behold, the feet of those who have buried your husband are at the door (Acts 5:9). 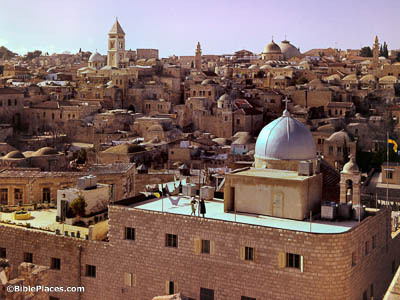 The Mount of Olives, pictured here, has served Jerusalem as a cemetery for more than 4,000 years. 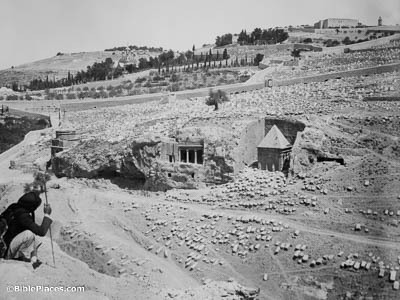 The three prominent monumental tombs in the left and center of the photo all date to about one hundred years before the time of the Book of Acts. If Ananias’s body was carried to the Mount of Olives for burial, it would have passed by these tombs. And the people also came together from the cities around Jerusalem (Acts 5:16). 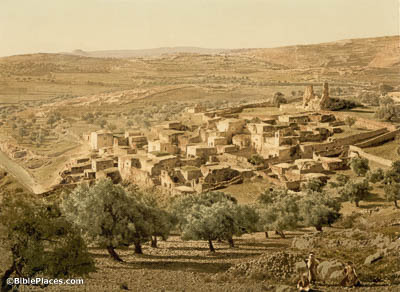 Bethany was located two miles (3 km) east of Jerusalem on the eastern slope of the Mount of Olives. It is known from the Gospels as the home of Mary, Martha, and Lazarus. This photochrom image was taken in the 1890s. Judas the Galilean rose up in the days of the census and drew away some of the people after him (Acts 5:37). The founder of the Zealots, Judas, led an uprising in AD 6. 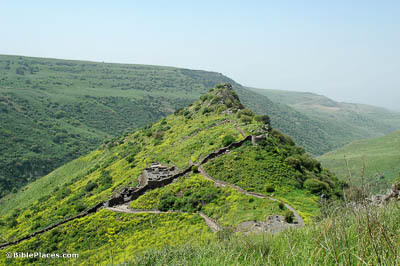 His hometown (pictured here) was Gamla, a strongly defended town on the northeastern side of the Sea of Galilee. About 60 years after Judas’s rebellion, Gamla joined in the First Jewish Revolt. And every day, in the temple and at home, they ceased not to teach and to preach (Acts 5:42). 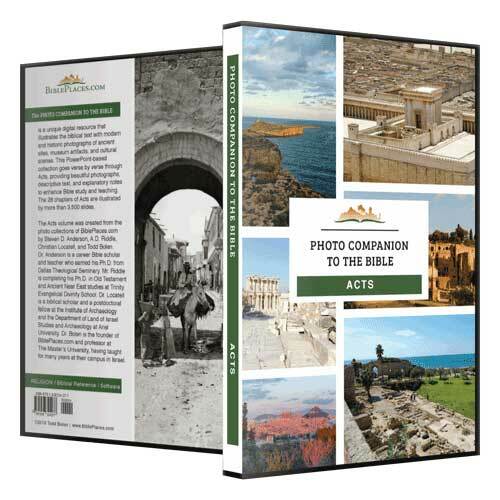 This photograph, taken in 1964 when the Old City of Jerusalem was under Jordanian control, provides an illustration of the city where the apostles faithfully proclaimed the good news of Jesus’s resurrection and coming kingdom.